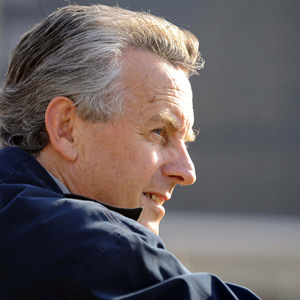 Another legendary, long-standing Irish trainer. How legendary? Well, legendary enough to have had trainer Aidan O’Brien, a winner of every British Classic, and Tony McCoy, probably the greatest ever jump jockey, as one-time apprentices. Bolger, who started training in the late 1970s, hasn’t done badly with horses either. Jet Ski Lady grabbed some of the biggest headlines for him, when winning the 1991 Oaks by a spectacular ten lengths at 50-1. He was also the trainer of St Jovite, who came second in the 1992 Derby but won the Irish version in record time and the King George VI and Queen Elizabeth Stakes in the same year. More recently, Bolger guided Finsceal Beo to victory in the English and Irish 1000 Guineas in 2007 and the brilliant New Approach to triumph in the Epsom Derby and Champion Stakes in 2008. New Approach’s son, Dawn Approach, was Europe’s champion two-year-old after an unbeaten season in 2012, climaxing with a brilliant victory in the Darley Dewhurst Stakes, promising much for 2013. And he did not disappoint, winning the opening race of the 2013 QIPCO British Champions Series, the QIPCO 2000 Guineas, by five lengths with a power-packed final furlong and after a desperate flop in the Investec Derby, bounced back to win the St James’s Palace Stakes followed by a narrow defeat in the QIPCO Sussex Stakes. Further defeats followed in the Prix Jacques Le Marois and the Queen Elizabeth II Stakes before the horse was retired to stud. In a fine season, he also saddled Trading Leather to win the Irish Derby and claim second place in the King George VI and Queen Elizabeth Stakes (sponsored by Betfair) and the Juddmonte International. In 2014 he gained his third Series second place with Trading Leather, this time in the Coral-Eclipse. Bolger almost added to his tally of British Champions Series wins as Lucida was worn down late on in the 2015 QIPCO 1000 Guineas by Legatissimo.